I last wrote about Hartley’s low calorie jelly pots back in 2011 (See POST). Back then there were just three flavours: Blueberry & Blackcurrant, Mango & Passionfruit and Cranberry & Raspberry. Now there are another six to choose from: Orange, Apple & Watermelon, Strawberry & Kiwi, Raspberry, Strawberry, Strawberry & Raspberry. What they all have in common is their low calorie content. All have 10 calories or less. 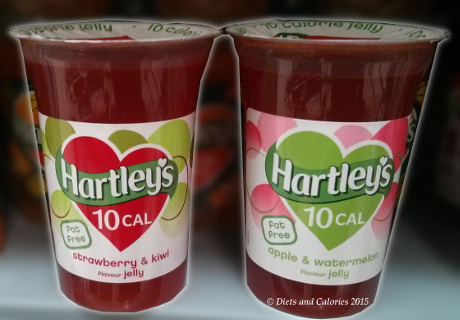 Hartley's fat free jelly pots are also gluten free and contain no artificial colours or flavours. They do have artificial sweeteners in the form of aspartame and acesulphame K. All jelly pots are 175g in size. 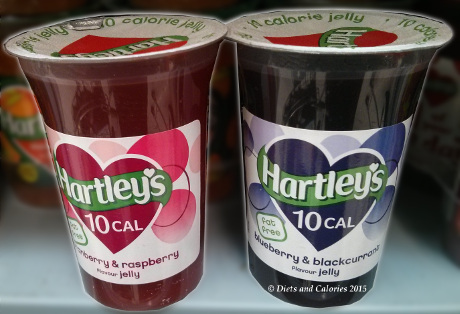 These jellies are useful if you’re following the 5:2 diet. Just add some fresh berries and a dollop of natural yogurt for a ‘temporarily’ satisfying sweet snack. 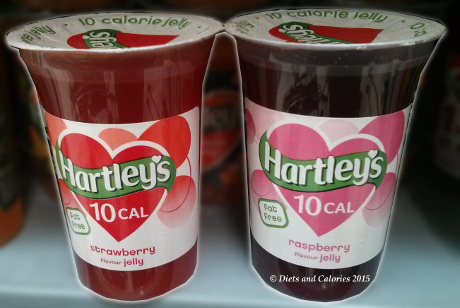 Regular Hartley's jelly pots are sweetened with sugar and glucose fructose syrup and contain 100 calories or more per pot. So if you're watching the calories, you can save a lot by choosing the sugar free version. They do use artificial sweeteners which is common with 'diet' foods, so be aware of this if you have concerns about these. Available in ASDA and other supermarkets. 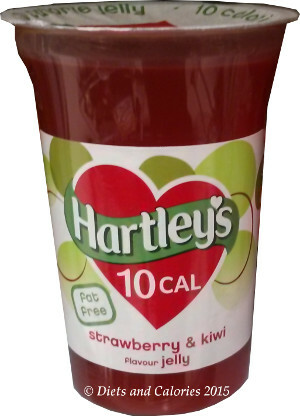 Nutritional Information: Per pot Orange flavour: 5 calories, trace protein, 2.1g carbohydrates, trace sugar, 0g fat, 0g saturates, 0.12g sodium.